Posted August 2, 2013 by krnaveen & filed under Chrome Analyzer. 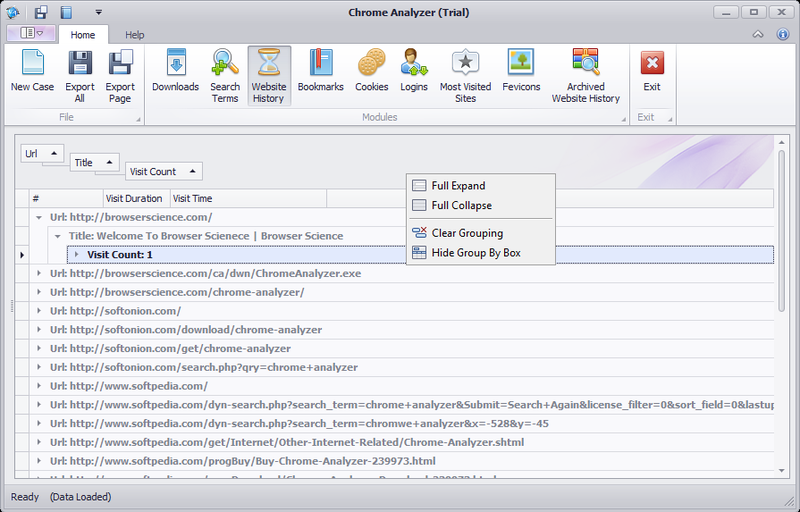 Chrome Analyzer is an advanced forensic utility for analyzing data stored in Google Chrome browser. 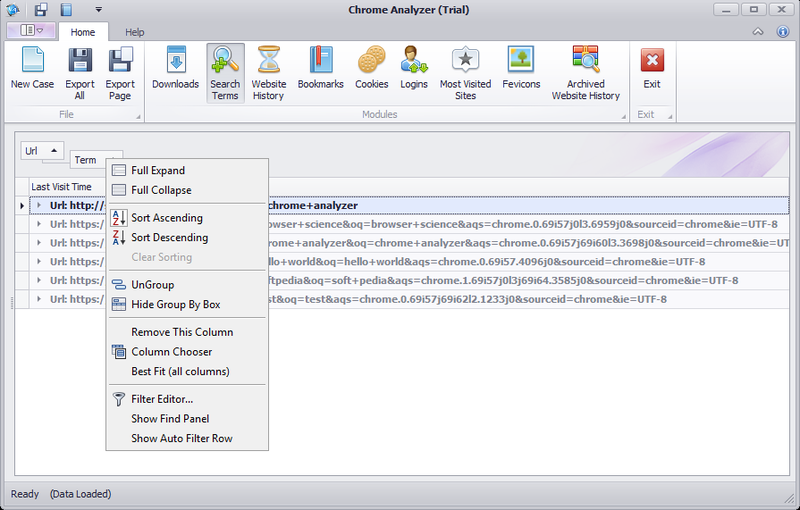 This guide will show how to perform advanced analysis with Chrome Analyzer. Once all data are loaded into the view you can group by a single column or multiple columns by dragging and dropping it on the space provided above the grid, where it will be automatically arranged. You can add advanced filters by right clicking on it and selecting appropriate actions.